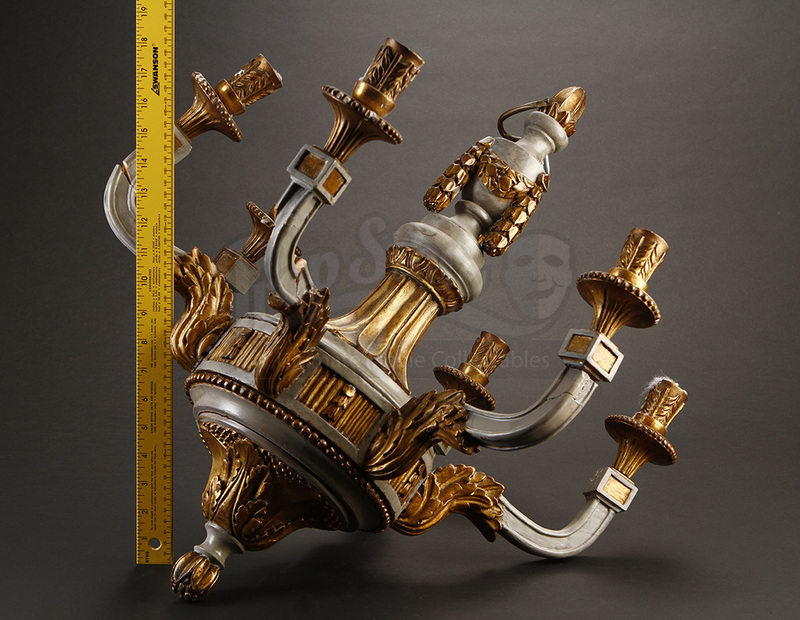 A wood chandelier from an unknown production. 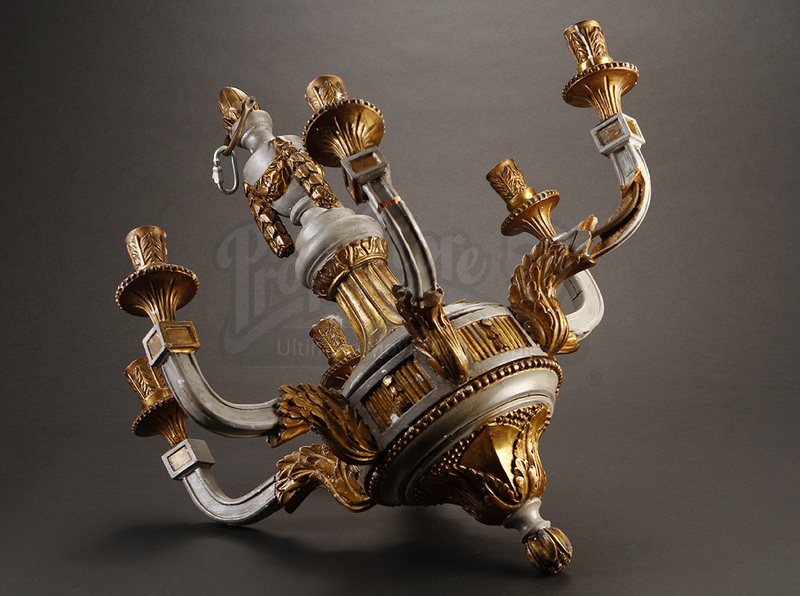 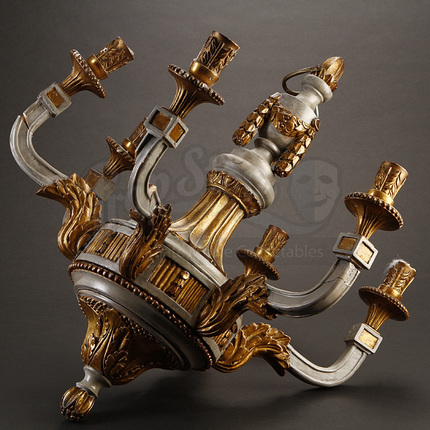 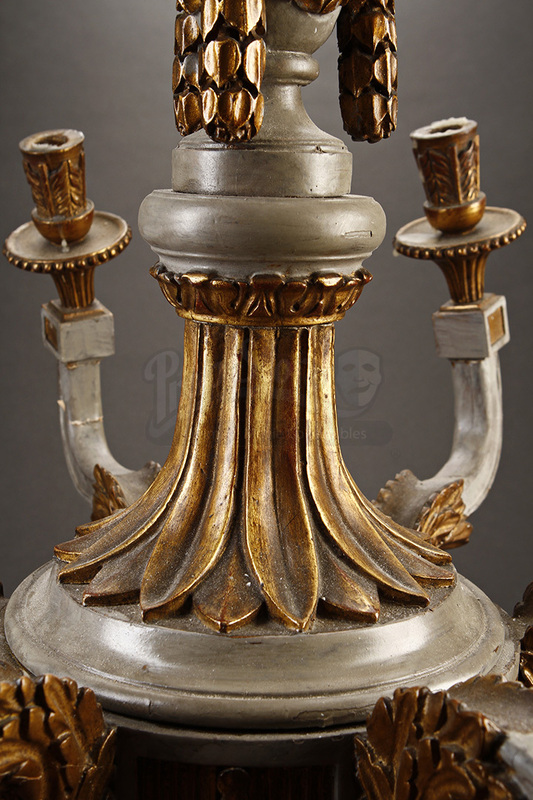 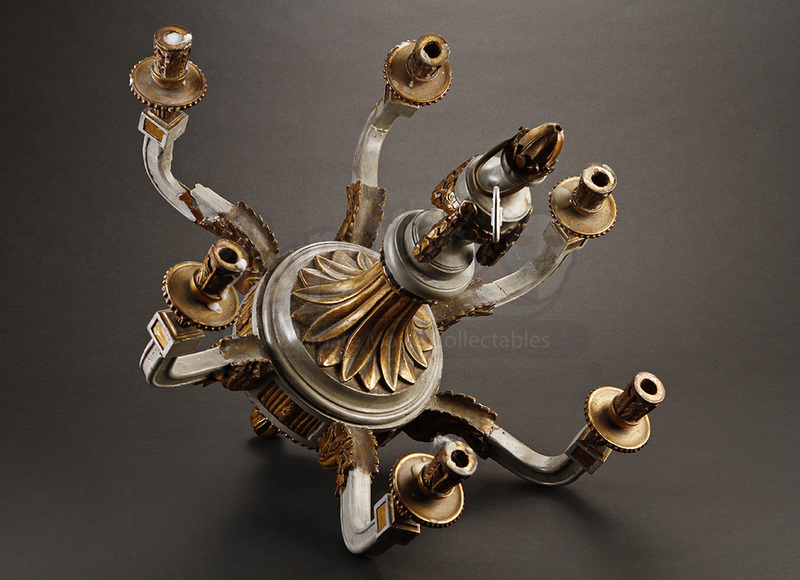 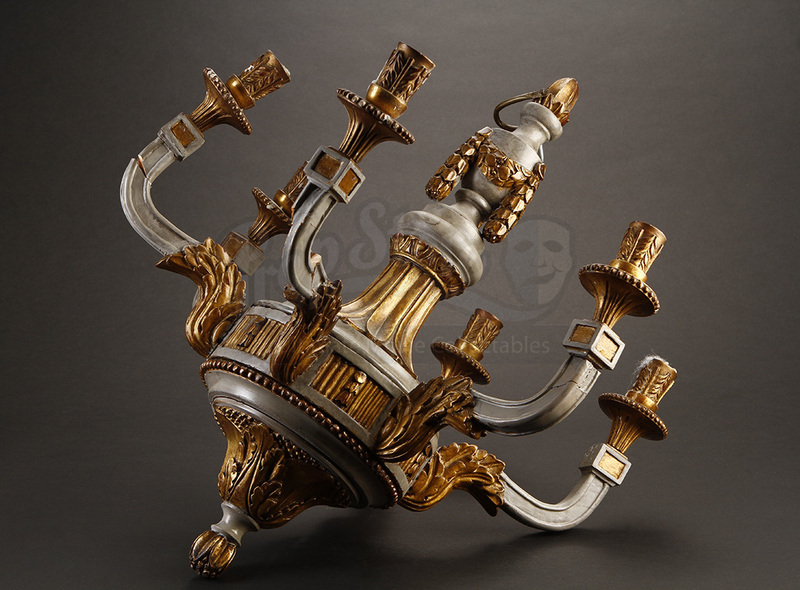 This chandelier features five arms attached around the bottom bowl and has been painted grey with bronze highlights on the ornate fixtures carved directly into the wood. 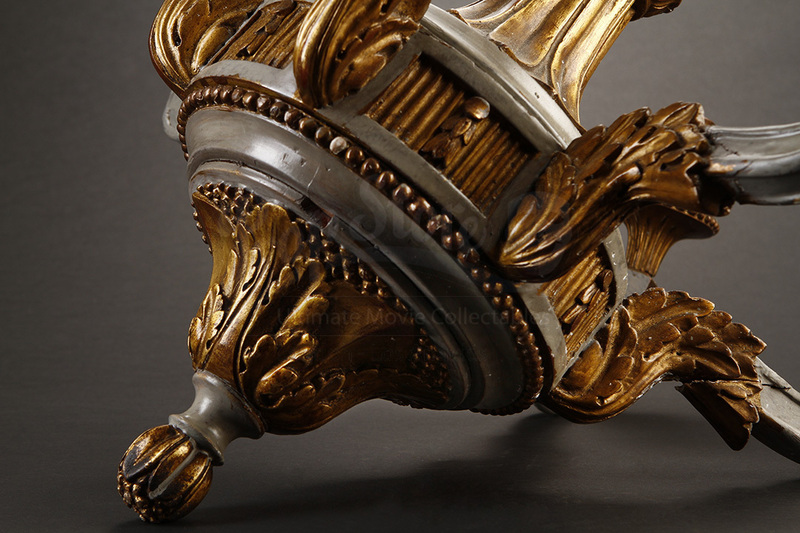 Within the wood are metal supports that assist in keeping the structure of the chandelier. 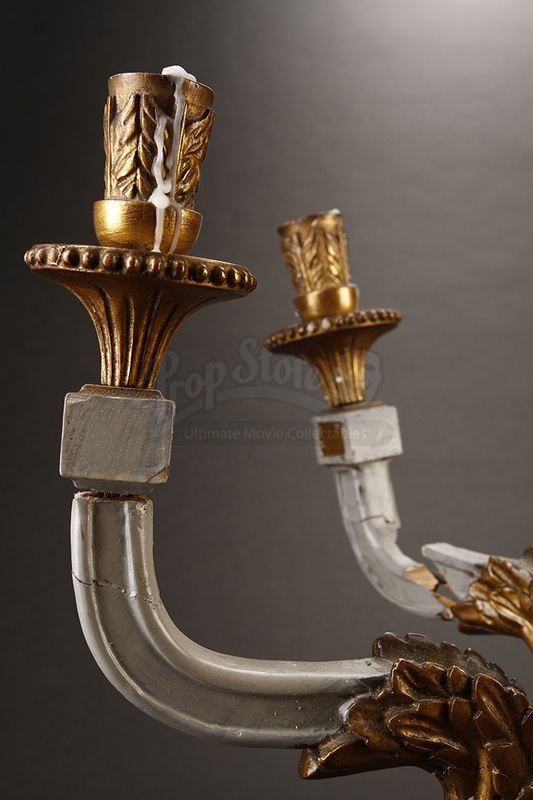 This piece shows notable wear from production use and storage with several breaks in the wood, particularly to the arms (see photos), leaving it in fair condition.